Cardiovascular disease continues to be the leading cause of morbidity and mortality around the globe, and CACS is an important tool to readily identify individuals at high risk of events to initiate early lifesaving preventive interventions. The assessment of subclinical coronary atherosclerosis by CACS has been shown to be a robust predictor of both near- and long-term clinical ASCVD events and provides information that outperforms traditional risk factor-based assessments. Current guidelines focus on the consideration of CACS in intermediate-risk patients to inform clinical decision making for initiation of preventive therapies. Knowledge of the subclinical disease can improve adherence to preventive medications and lifestyle interventions. Grundy SM, Stone NJ, Bailey AL, et al. 2018 ACC/AHA/AACVPR/AAPA/ABC/ACPM/ADA/AGS/APhA/ASPC/NLA/PCNA guideline on the management of blood cholesterol: a report of the American College of Cardiology Foundation and the American Heart Association Task Force on Clinical Practice Guidelines. J Am Coll Cardiol. 2018; https://doi.org/10.1016/j.jacc.2018.11.003. Institute of Medicine. Clinical practice guidelines we can trust. Available at https://www.nap.edu/read/13058/chapter/1. Accessed 4 Feb 2017. ROBINSCA Study Design. Available at http://www.robinsca.nl/for-researchers/study-design/. Accessed 4 Feb 2017. Hecht HS, Cronin P, Blaha MJ, et al. 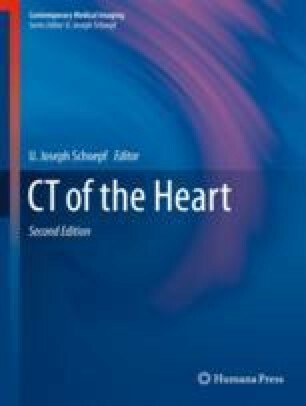 2016 SCCT/STR guidelines for coronary artery calcium scoring of noncontrast noncardiac chest CT scans: a report of the Society of Cardiovascular Computed Tomography and Society of Thoracic Radiology. J Cardiovasc Comput Tomogr. 2017; https://doi.org/10.1016/j.jcct.2016.11.003. Lung Cancer Screening Registry. American College of Radiology. Available at https://www.acr.org/~/media/ACR/Documents/PDF/QualitySafety/NRDR/Lung-Cancer-Screening-Practice-Registry/ACR-LCSR-User-Guide.pdf?la=en. Accessed 1 Apr 2017.